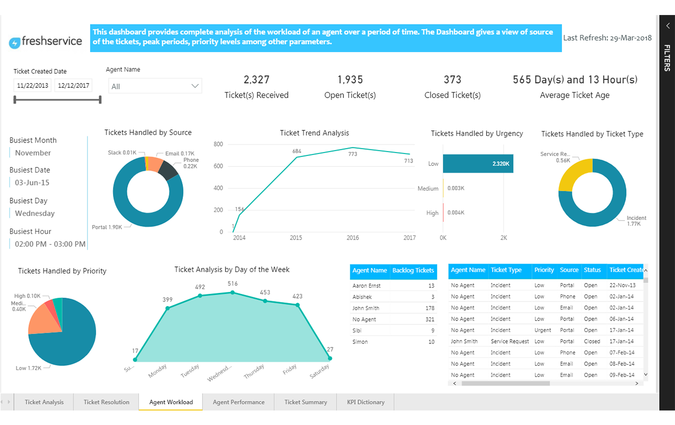 Freshservice on PowerBI is an analytical add-on for Freshservice customers. 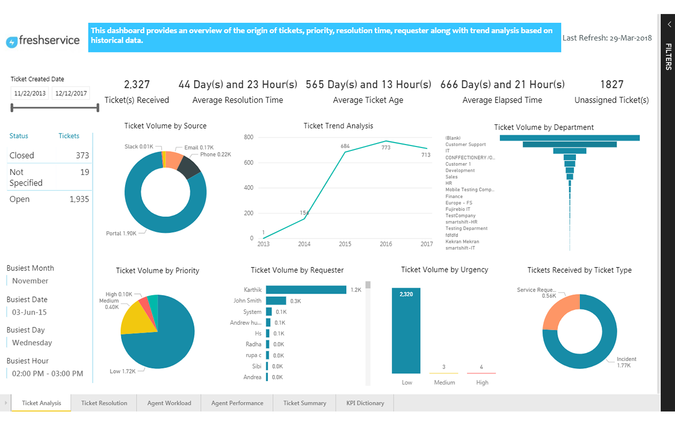 This app delivers Operational & Analytical Dashboards surrounding your Freshservice tickets; coverage includes Ticket Analytics, Agent Productivity and Team Performance delivered through Microsoft Power BI. 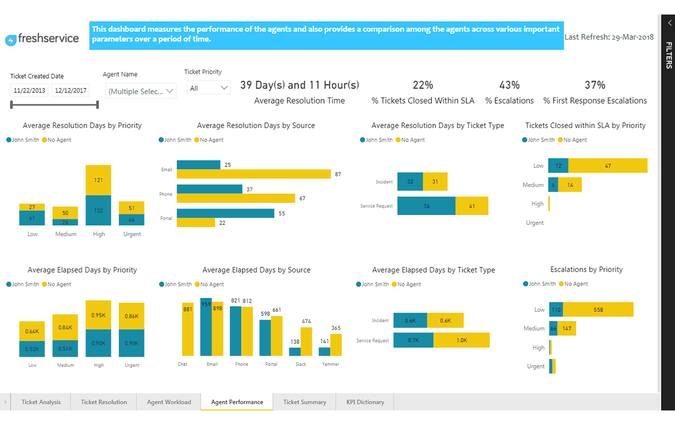 This leverages your existing enterprise PowerBI environment to deliver the reports and dashboards. Try out this application for free for a limited period. 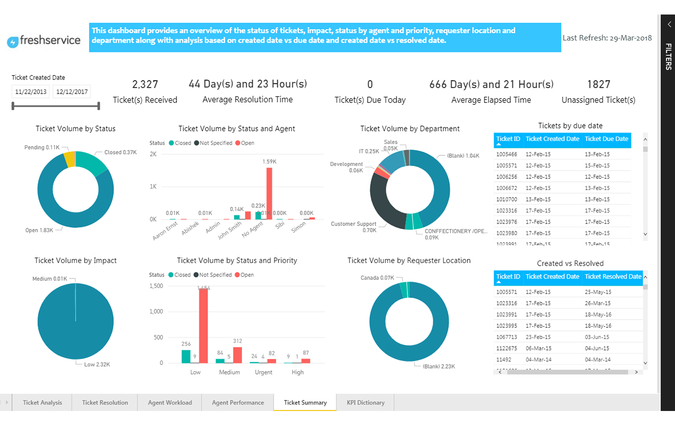 Also customization of reports are available at a nominal cost and can be implemented on your premise or off-premise on a secure Azure cloud. 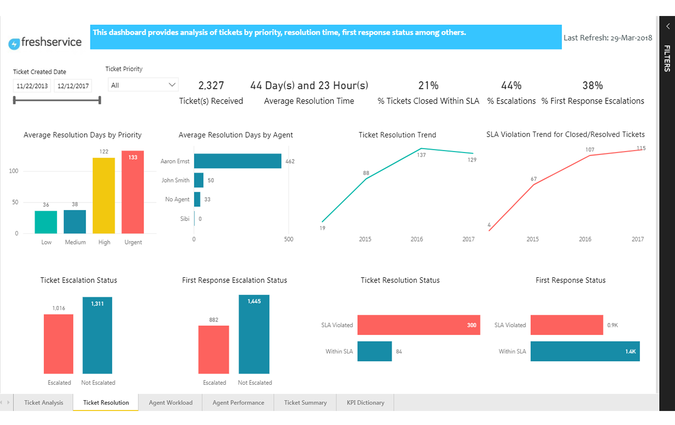 You can use this app to visualize the dashboard in Power BI account. First of all, the following information is required to configure the App. i. Login to your Freshservice Admin Account. ii. Click on your Agent Avatar on the top right and select Profile Settings. iii. On the right pane, you would find the API Key. iv. Copy-paste this as required to authenticate third-party solutions.